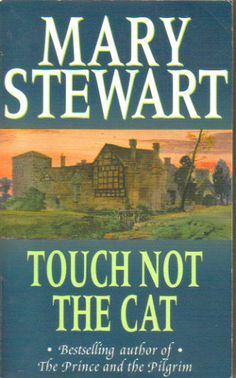 Touch Not the Cat by Mary Stewart was published in 1976 and it must have been around about then that I first read it. I couldn’t remember an awful lot about the book (it was a long time ago after all) but I did remember that the family crest had something to do with the storyline. Judith @ Reader in the Wilderness and I decided to read this one at the same time and she plans to get her post up about it soon. This is a light read, you might call it a comfort read, perfect holiday or summertime reading. The setting is mainly Herefordshire in England in the 1970s although the book does begin in Madeira where Bryony Ashley is working at a hotel that is owned by her father’s friend, it’s just a holiday job for her but tragedy strikes when Bryony’s father is knocked down and killed by a hit and run car in Germany. Her father wasn’t killed outright and his last words have been written down for Bryony, as the doctors know that she won’t get to his bedside before he dies. There is a tradition of a sort of telepathy within the Ashley family and Bryony has it as has one of her male relatives, but she doesn’t know which one it is that communicates with her through thought. Bryony is now an orphan and even worse than that her family home Ashley Court is entailed meaning that it has to be passed on down the male line in the family. Ashley Court is practically a ruin, an ancient moated house which has suffered from a lack of maintenance for years. It’ll be a millstone around the neck of the eldest Ashley cousin Emory, even more than Bryony realises because she discovers that that branch of the family is equally skint when she and her father had believed them to be very well off. The police have never been able to track down whoever killed Bryony’s father and she begins to think that it wasn’t a simple accident. Did her cousins have something to do with it? Which of her cousins is it that she has a mental link with, being able to communicate through telepathy. Bryony is suspicious of her cousins, would they have killed her father to get their hands on Ashley Court and the land around it? With romance thrown in and some lovely descriptions of the surroundings, something always expected in a Mary Stewart book, this was an enjoyable read. Mind you I always compare any of her books with her Merlin/Arthurian trilogy, that ended up being a series of five books. Those books are still my favourites. I read this one for the Read Scotland 2016 Challenge, I’ve now read thirteen Scottish books so far this year. Because we were away in the Lake District it took me much longer than usual to read this book. I usually like to read detective fiction in 3 or 4 big chunks over a couple of days, but this must have taken me about a week in dribs and drabs. Because of that I only gave it 3 on Goodreads but I suspect it would have been a 4 if I had been able to read it as normal. 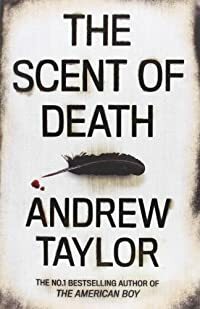 First published in 1951 and set in London, two similar murders are committed in the same house just two days apart, as you would expect given the book title. The house belongs to Mrs Haddington, a ghastly social climbing sort of a woman with a spoiled little madam of a teenage daughter, named Cynthia. There are several possibilities as to the culprit or culprits and Chief Inspector Hemingway and Inspector Grant have the job of investigating the crime. Grant is of course Scottish and as he has just come back from a holiday in Inverness his speech is more Scottish than it would be normally, in fact he speaks quite a lot of Gaelic phrases, thus proving that Heyer went to the trouble of learning more Gaelic than I have. But then I’m a Lowlander and I know nothing much beyond sgian dubh. Anyway, it kept me guessing to the end which is always a plus and there is the usual witty dialogue which Heyer is so good at writing, especially between the love interest which she always has to have, even in her murder mysteries. This is the first book by Gladys Mitchell which I have read, it was first published in 1955 and my copy is an old green Penguin from 1957. Mrs Bradley features in this book and she seems to be Mitchell’s lady detective and has featured in lots of her books. She’s another knitting lady detective. Mrs Bradley and her secretary Laura Menzies have been invited to a party at the country home of Sir Bohun Chantry, a wealthy eccentric who has a penchant for Sherlock Holmes. All of the guests have to attend in fancy dress, got up as characters from Sherlock Holmes stories. The first chapter has a lot of info dumping in it but it’s done well as at the end of it the reader has been introduced to all of the main characters, before they actually appear in the story. I ended up enjoying this book more than I thought I was going to, I’m really not a big fan of Sherlock Holmes, despite the fact that I live near Edinburgh. Conan Doyle’s beloved Holmes annoys me too much, he would have been insufferable to live with. As the storyline involves a treasure hunt of things which appear in Holmes stories that was all completely lost on me, but I’m sure it would go down well with Holmes afficianados. Sir Bohun’s relatives are upset that he seems to be intent on marrying Linda Campbell, a governess. His illegitimate Spanish son, Manoel is particularly worried about it. He wants to inherit from his father and be legitimised. When a murder occurs it’s Laura’s fiance Gavin, who is in the C.I.D. who investigates. I’ve read that this book isn’t one of her best, I think it was the second last book which she wrote, but plot wise it isn’t a disappointment as there were unexpected twists, for me anyway. It does feature a large dog, described as looking like a cross between a Great Dane and an Irish Wolfhound, with maybe a bit of donkey in there too – a big soft lump, which was of course playing the part of the Hound of the Baskervilles. I will be looking out for more books by Gladys Mitchell in the future. I found this one in a charity shop just after Joan had mentioned that she was reading it – on the other side of the pond. I’ve never found a vintage Penguin in my home town before, people must hang on to them. It seemed like an amazing coincidence to me, one of those spooky parallel universe things! Another thing which I must mention is that red-hair features in this book, the sort of stereo typical disparaging remarks which you get used to if like me you have red hair. They are daft though and do perpetuate silly prejudices which even nowadays end up contributing to kids with red hair getting bullied at school. Looking at the photo of Gladys Mitchell on the back of the book, it looks to me as if the author might have had red hair herself – she was certainly very fair, it’s a black and white photo. Maybe she was just claiming the territory as some people do if they have a perceived ‘handicap’. Does anybody have any info on that subject. Is red-hair a feature of her books? Although Gladys Mitchell was born in Cowley, Oxford she is of Scottish descent and a Scottish influence is apparent in some of her books, according to the blurb on the back. I borrowed this book from the library and it’s the first Agatha Raisin book I’ve read, I’ve wanted to start at the beginning of the series since Jo at The Book Jotter has been enjoying reading the books. Unfortunately this one is fifth in the series but I decided to read it anyway. These books are set in the Cotswolds, and as there are quite a few mentions of towns which we visited during our recent road trip, it did add to the reading experience, it’s nice to be able to picture the actual locations. I enjoyed this one, I think you could call it a good book for a bad day. There’s nothing at all intellectualy stimulating about it which makes it perfect for taking your mind off things or reading on a journey or hanging about in a queue, good holiday reading too. It only took a couple of hours to get through. Agatha Raisin is getting married to James Lacey, her next door neighbour, and she is keeping her fingers crossed that her previous husband is dead, otherwise she’ll be committing bigamy. As you can imagine – things don’t go well and murder and mayhem ensue. It’s a bit daft really, what I call ‘marshmallow reading’ but sometimes that’s just what you need. I had heard a bit of the first book in this series on BBC Radio 4 Extra one night when I was doing the dishes. From what I heard then, Agatha Raisin and the Quiche of Death seemed to have had more humour in it. I think that the books might turn out to be a bit samey but I’ll definitely read a few more of them, I can’t see myself ploughing therough all M.C. Beaton’s output though, they’re churned out at quite a rate. Such men as James Lacey were for other women, county women with solid county backgrounds, women in tweeds with dogs who could turn out cakes and jam for church fetes with one hand tied behind their backs. I had to read it again as it didn’t make sense – who’s doing the baking – the women or the dogs? Surely if dogs they should have a paw tied behind their back! Then I realised it was just the lack of a comma or two which caused the confusion. Sad really because I did have a vision of a dog doing the baking and jam making, and do admit, it would have been funnier! Anyway I want a dog like that, especially for baking the things that I’d still be marked F for Fail on, like scones and bread, but I’m thinking it would have to be a poodle because they don’t cast hairs! Michael Innes was a Scottish author who also wrote under the name of J.I.M. Stewart, which was his real name but as Going It Alone is a mystery it’s a Michael Innes book. It’s ages since I read any of the Stewart books and I hope to rectify that soon but from memory this book seemed more like those ones than his usual Innes books. Maybe it was just because the storyline involves a family and there is no detective involved, just an uncle who helps his nephew when he gets mixed up with unsavoury characters which results in attempted murder, blackmail, kidnapping and robbery. The uncle, Gilbert Averell, isn’t exactly completely innocent himself as he’s living in France as a tax exile from England and has entered Britain using a friend’s passport to avoid having to stump up more cash to the treasury. It was first published in 1980 and is an enjoyable bit of light reading. Michael Innes had an incredibly long career as an author, over 50 years, and he usually manages to squeeze a bit of humour into his books too.